QC Makeup Academy wants you to be prepared for your online makeup course and your makeup career. Get a head start on building a beautiful, professional makeup kit with these bonus items! This 5-piece makeup starter kit is available to all new students of both the Makeup Artistry and Master Makeup Artistry courses while supplies last. An 88-shade eye shadow palette you’re sure to love. Choose from the widest selection of neutral shadows to create a large variety of looks for any skin tone. 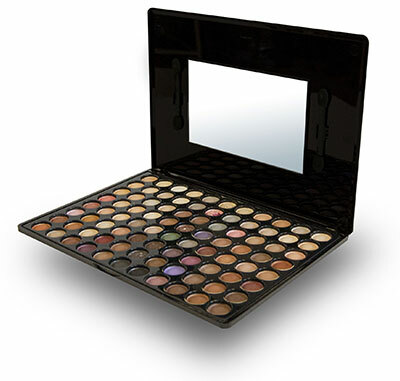 Enclosed in a sleek black case, this palette is easy to bring wherever you’re headed! 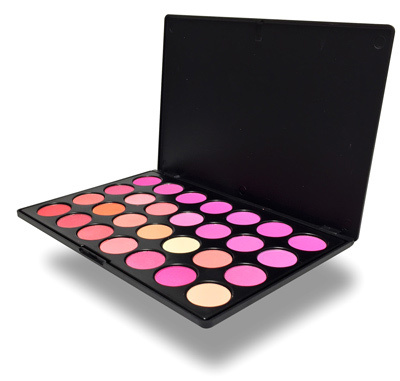 This 28-shade powder blush palette includes a full range of warm and cool toned pinks in matte and shimmer finishes. You’ll impress your clients with your ability to pull from this palette to create almost any hue. A 32-shade lip palette that will finish any look. Choose from gloss, partial shimmer, and full-blown sparkle to highlight your client’s lips and pull any look together. Impress clients, friends and family with your vast selection of lip colors. 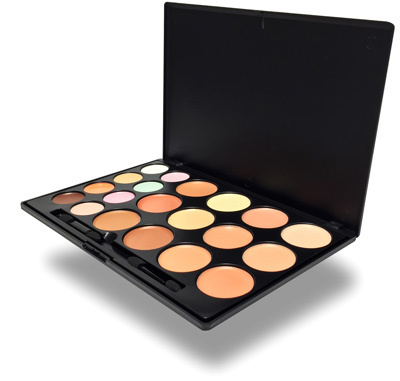 A 20-shade correct and conceal palette that will allow you to correct and/or conceal any blemish or discoloration. This palette’s products come in a light cream consistency—perfect for mixing and blending for beautifully buildable coverage. You’ll receive a full 16-piece brush set featuring 100% synthetic bristles and real wood wands. This lightweight starter set comes in a faux-leather roll and is a must-have for any makeup artist on-the-go. Note: You will receive a course-specific makeup starter kit with the Airbrush Makeup Workshop, the Pro Makeup Workshop, and the Special FX Makeup course instead of the one shown.